Plant your garden with the promise that tomorrow will be filled with goodness. The promise of tomorrow inspires every gardener to look forward to their harvest. Every tree and plant that bears the Tomorrow’s Harvest® name exclusively from the Burchell Nursery is a living promise. 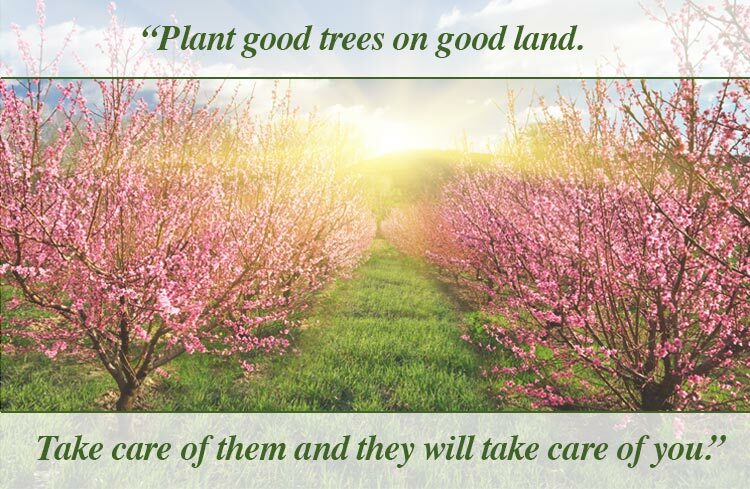 A promise made to our customers that the investment they are making when they buy, plant and nurture a Tomorrow’s Harvest tree or plant is worthy of their choice. Irvin Burchell started his nursery in Modesto, California in 1942. For well over 75 years three generations of the Burchell family have been at the forefront of research and development to breed plants and trees of the highest quality. With everything from fruit to nut trees, herbs to ornamentals, shrubs to strawberries, lingonberries to lavender they have all been carefully cultivated for your home, whether an acreage or an alcove. Look for Tomorrow’s Harvest by Burchell Nursery at better retail nurseries, and let our three generations of experience take root in your home orchard, landscape and garden. You’ve already invested time and care in choosing your Tomorrow’s Harvest fruit, nut or berry varieties. We want to ensure they arrive healthy and ready to thrive. So we have engineered special packaging and shipping methods to deliver pristine plants ready for planting. To minimize shock, Tomorrow’s Harvest plants arrive in their original soil mix. 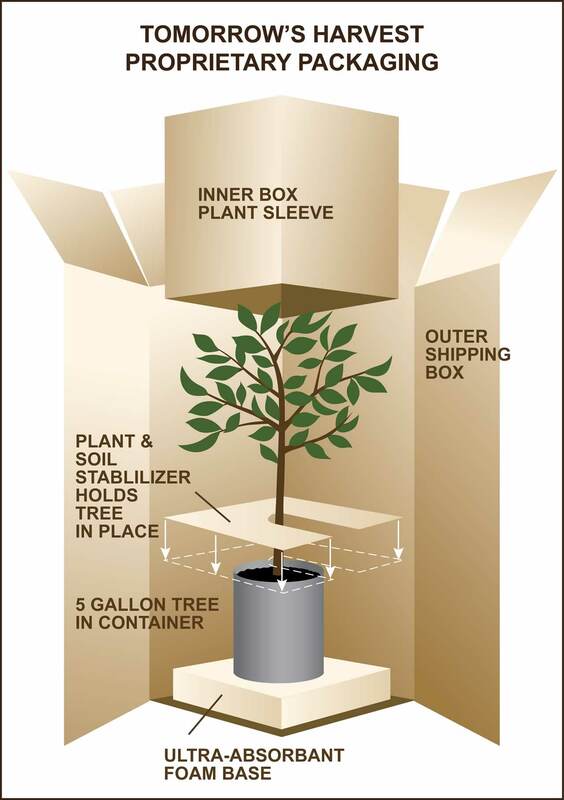 They’re cradled in a package that holds the plant firmly in place and absorbs vibrations during shipping. They even have a special collar to protect the plant should it get tipped upside down while in transit. We go to these lengths because you deserve the very best. So if for any reason, you are not completely satisfied with the plants you received from Tomorrow’s Harvest, please let us know. We want you to be thoroughly pleased with your purchase.